Waterfront Useppa Island Home in Useppa Village-the best kept secret in Florida. Panoramicwater views across Pine Island Sound and ICW to Boca Grande Pass, the Tarpon Capital of theWorld. 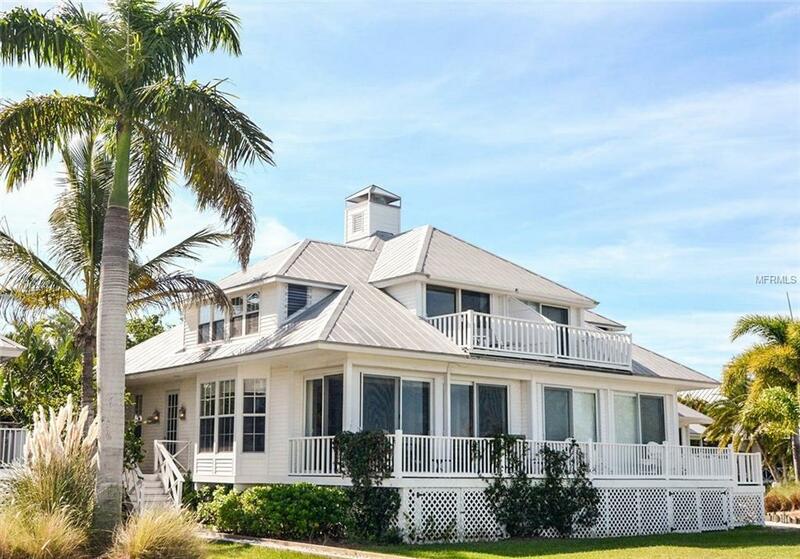 West-facing waterfront porch and wrap-around decks provide lots of outdoor space toenjoy island living and views. Where else could you find a 3/2 Townhouse style attached villa, lushlyfoliaged, on Paradise Coast, with dockage at your front door, at this price? And, it is turnkey --fully furnished down to linens, kitchen/cooking utensils, flatware, etc... awaiting your arrival.Named "Grand View", you will not be disappointed. Useppa is a bridgeless island, 4 miles westof Pine Island, 3 miles S of Boca Grande Pass and 500 yards off the ICW, situated in the bestfishing in SW FL. It is truly a "different place and time"...where little ones are told to be home bydark, drive-in movies are shown on the beach and informal parties erupt at dusk. There are nocars, only golf carts...no Stop Signs, only Turtle Crossings. Paradise! Listing provided courtesy of Premier Sotheby's Int'l Realty.